Do pilots need to know how to use a sextant? Can a sextant be used while flying? How accurate/reliable is a sextant, both standing still and at 500+ mph? Are sextants found in any cockpits today? Can a sextant be used while flying? Yes it can. Some aircraft like 747 for example had a sextant port to allow celestial navigation. How accurate/reliable is a sextant, both standing still and at 500+ mph? Sextant is not accurate. At least not accurate enough for today's navigation purposes. You cannot perform a RNP-RNAV approach with a sextant. Per wikipedia, the best accuracy you can get with a sextant is between a tenth to a quarter of nautical mile. But it is a very good alternative if everything else fails. Are sextants found in any cockpits today? As for sextants in modern cockpits, my best guess is you won't find any, at least in the form of one "left in a drawer". See that image of a sextant being operated on a VC-10. It's more like a submarine periscope than a traditional naval sextant. Retrieved from airliners.net unknown copyright owner. Finally, as KRyan notes and as voretaq7 wrote in their answer, pilots don't need to know, but they can attend training in order to know. Ooh, a celestial navigation question...about airplanes... I never thought I'd see one of these in the 21st century! To answer the basic question: Pilot training doesn't cover sextant use, but there is still a "Flight Navigator" certificate (you'll find it in Part 63 of the FARs), and an associated Flight Navigator Handbook (FAA-H-8083-18), last updated in 2011. The written test question bank is also available if you want an idea of what the FAA expects you to know in order to earn that certificate. Yes, if you have a clear view of the sky overhead. Aircraft used to be designed with "sextant ports" as shown in Stelios' answer, and special aircraft sextants (indirect-sighting, with a bubble to provide a horizon, and usually some kind of averaging mechanism and timer). A sextant is a pretty accurate tool under the right conditions, if you know how to use it. Stationary on the ground you can do a surprisingly good job with a sextant, see for example the US/Canada border monuments. I'm out of practice, but on calm water I used to be able to fix my position to within about 1 minute of arc (1 nautical mile) on any given line. To put that in perspective, that's slightly better navigational performance than a VOR provides at distance (2-4 nautical miles), but substantially worse performance than GPS (within a few feet). As far as reliability, the reliability of a ship's sextant is pretty good: much like a mechanical E6B flight computer it'll work fine unless you abuse it (drop, step on, etc.). Reliability of an aircraft sextant (or any other bubble sextant with an averaging timer) is not quite as good because there are more moving parts involved, but properly maintained they could be trusted to work when you needed them (and most failures could be compensated for by a decent navigator). Sextants don't tell you where you are, they tell you where you were when you made the observation. The averaging mechanisms I mentioned earlier allow aircraft sextant to partially account for the fact that the aircraft was moving (both vertically and horizontally), but at modern speeds you cover a minute of arc pretty quickly. Radio navigation systems and GPS provide much faster position updates than you could get with a sextant. Aircraft sextants are precision instruments. They need to be maintained and calibrated or they won't be accurate when you need them, and as I mentioned there are a lot more moving parts to an aircraft bubble sextant than a basic ship's sextant. Using a sextant also require an operator (navigator) who knows what they're doing in order to take the sighting and compute the position, compared to radio navigation (VORs, VOR/DME, or GPS). Most pilots don't have any training in using a sextant (my experience comes from sailing), so having one would be useless to them. While the sextant is a reliable instrument the stars are not reliable: They're always there, but sometimes they're not visible. You can't see most of the stars & constellations you would take a sighting of during the day (usually only one star is visible), and clouds can obscure them when you want to take a sighting, delaying or preventing your position fix. Certainly not in any light GA cockpit I can think of, and probably not in any single-crewmember cockpit: Even if you held both a pilot certificate and a flight navigator certificate a pilot with their head buried in the sextant is rather useless for actually flying the plane. I would assume that most commercial cockpits also no longer have a sextant as modern jets don't include a sextant port, so there's no way to take a sighting. There might be a few restored vintage aircraft that have a working sextant onboard, but I doubt those are used for practical navigation (they're probably not used at all, except possibly to demonstrate how it was done). As a retired USAF Navigator, I can tell you C-130's stopped using celestial Navigation by the mid-1990's. As far as accuracy, if you were good at it, and that took years of practice, you could get within a couple of NM's, especially at night when you can use three stars. Yes they can use but no its almost never used anymore and its not a requirement for the PPL or any other license above that here in the US as far as I know. There was at once point a "Flight Navigator Rating" or something to that effect that required knowledge of sextant use. Addressing the first (headline) part of the question; Do pilots need to know how to use a sextant? I can think of one circumstance where it might come in handy - when you've ditched and are in a raft! As an aside on sextant accuracy; originally, mariners were sailing from Southampton and trying to find New York. Getting to within a mile of the entrance to the Hudson after sailing 3,000 miles is accurate enough. Yes, but it's not that common, except for a few, rare military applications. The Lockheed A-12 and SR-71 aircraft featured a Nortronics NAS14-V2 Astralinertial navigation system which used a self controlled sextant combined with an internal navigation system to locate and track the aircraft's position in space and could be coupled with the AFCS to provide steering cues. The system provided excellent accuracy for the day and could track stars both day and night. It had additional advantages in that it was totally independed to terrestrial or space based navigational aids to locate the aircraft, increasing stealthiness and reducing vulnerability. 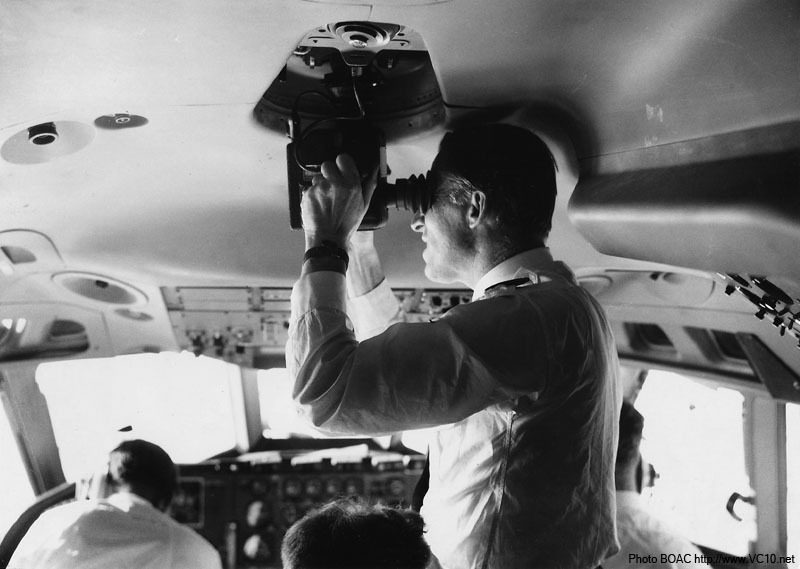 Some long range commercial airliners installed astral navigation systems as well during the 1960s and 1970s. But with modern INS and GNSS equipment, it went the way of the dodo along with systems like NDB, LORAN, etc. Not the answer you're looking for? Browse other questions tagged navigation or ask your own question. What is the reference used when measuring flight speed? Why is port-starboard terminology used in aviation? How can a passenger determine airspeed without a handheld GPS?  How does an aircraft report crew programming of the FMS to the ground? How did Charles Lindbergh use dead reckoning over the Atlantic ocean? Is pressure pattern navigation used in the real world? How effective is it really? Dead reckoning navigation: gyromagnetic compass, how it is stabilized? How do aircraft go off-course even with all their guidance technology? Do GA aircraft pilots use predefined routes (via GPS or DME/VOR vectoring) or methods such as GPS-direct/ VOR-to-VOR in UC airspace? What is the difference between published and unpublished waypoints? How do I determine which radial intercept angle to use?